Congratulations again to Lee Bethel who is now a finalist in two more art prizes! A big congratulations to Lee Bethel who is a finalist in both the Fisher’s Ghost Art Award 2018 with her work Petal and also Splash: McClelland Contemporary Watercolour Award 2018, with her artwork Komon. Congratulations to Lee Bethel, a finalist in the Professional Artist and Emerging Artist categories of the Ravenswood Australian Women's Art Prize 2018. The winners are announced this Friday 15th June. Lee's finalist work seen above: Labyrinth, 2017, encaustic and seeds on hand cut paper on board, 50 x 50cm. Congratulations to Lee Bethel, finalist in the 2018 Fleurieu Biennale with her work, Paradesios, 2017, encaustic and seeds on hand cut paper, 45 x 45 cm. Our next exhibiting artist Lee Bethel is a finalist in this years Fisher Ghost Art Prize! Congratulations Lee! Her exhibition Flourish opens Friday 13th October, 6-8pm. 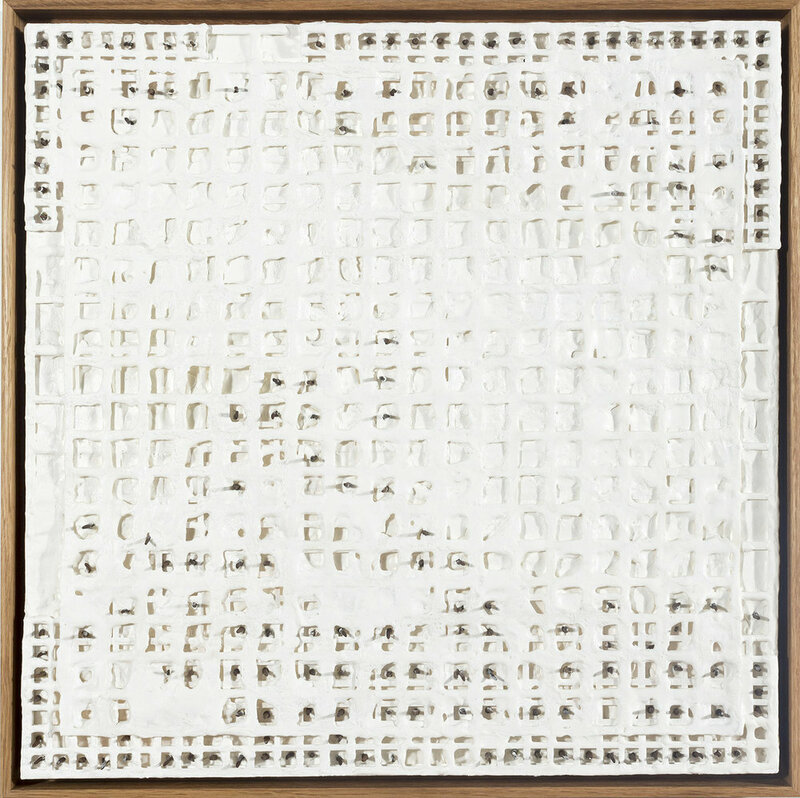 For Lee Bethel, elegant constraints are the foundation of her workings, manipulating the fold, the grid and the seed. In her hands, the paper fold reveals its capacity for resilience and malleability. It is both a tangible folding of paper and a metaphorical folding of time and memory. The works suggest states of being that are "open-ended ... non-exclusive and unlimited, exterior and infinite." The inside is nothing more than a fold of the outside where the interior becomes exterior. Our very own Lee Bethel is a finalist in this years Hazelhurst Art on Paper Award. Lee is already had a busy year being a finalist in both North Sydney Art Prize and the Paramore Prize. She has also been awarded a residency at the excellent Footscray Community Art Centre in Melbourne mid year.